The Flood Gallery is boutique gallery located in the world famous Greenwich Market in London. 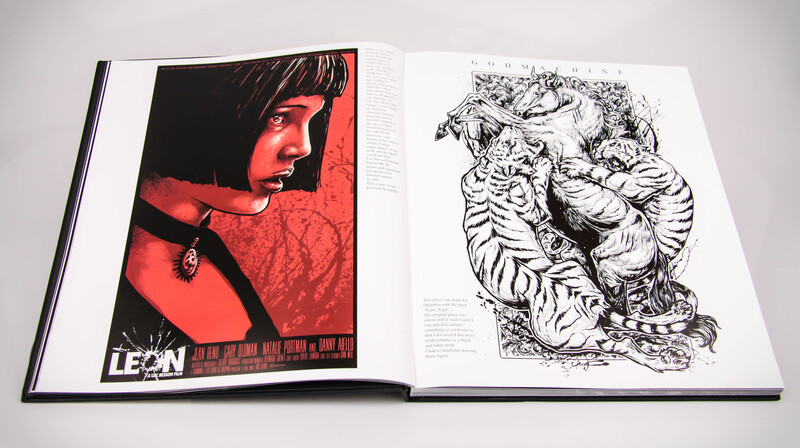 Since 2011 they have been a premier provider of outstanding gig, geek, movie and pop culture prints. 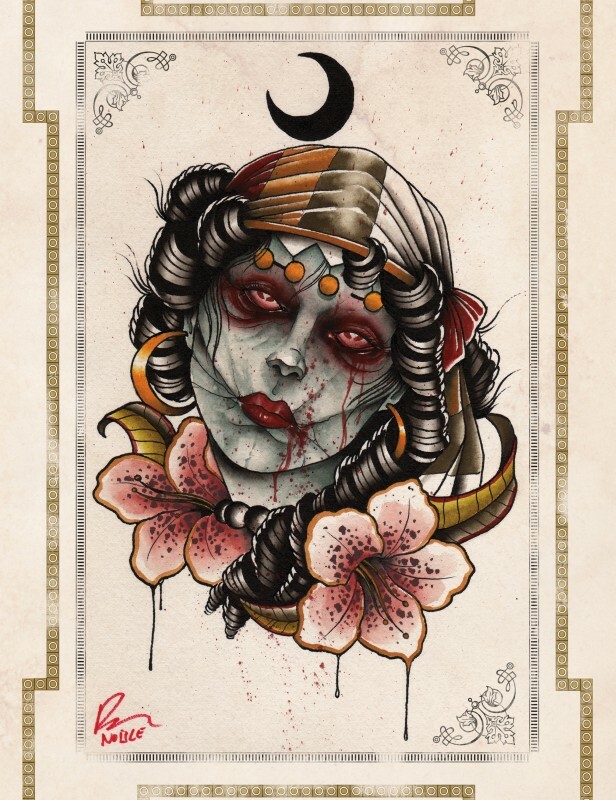 The Flood Gallery sells work from artists including Rhys Cooper, Hydro 74, Kii Arens, Zeb Love, Burlesque, Lurk & Destroy, Joshua Budich, Tim Doyle and a plethora of others whose inspired work speaks for itself. 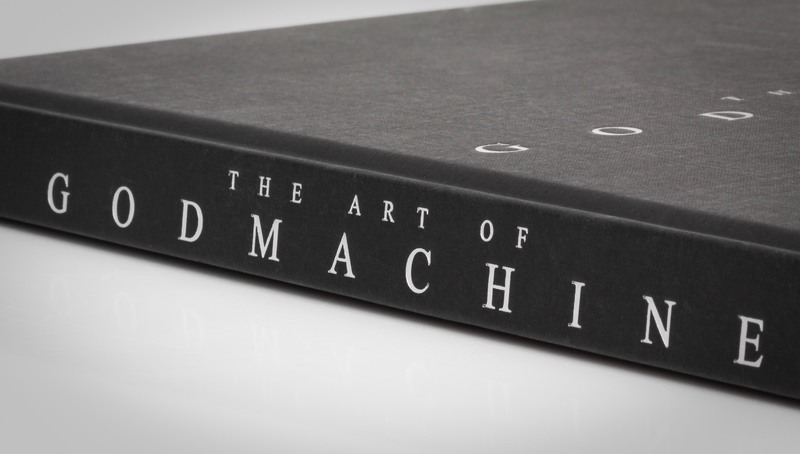 The Flood Gallery has partnered with one of the U.K.’s most recognizable artists, Godmachine, for their very first published book titled: “The Art Of Godmachine.” This utterly fantastic, luxury hard back book features over 192 pages of art, offering a complete retrospective look at Godmachine’s extensive portfolio. 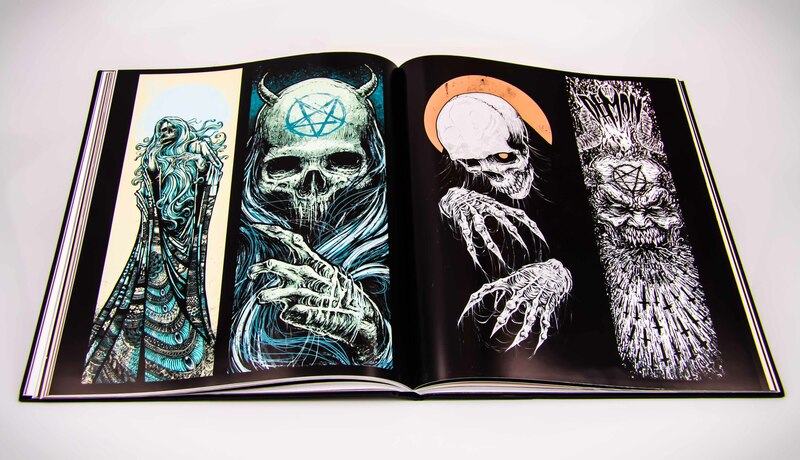 We spoke to Chris Marksberry, owner of The Flood Gallery and he told us that the book was nine months in the making and that it was a pleasure to work with Godmachine. He said Godmachine was “extremely collaborative” and that the end result “exceeded our expectations.” After looking at some of these images I can see why he is so excited about the project. We got a chance to talk to Godmachine about the project and here is what he had to say about the collaboration with The Flood Gallery. 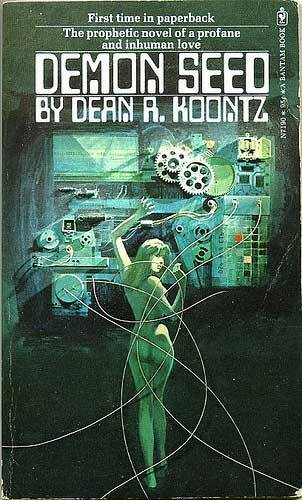 I love Koontz’s work but I have yet to read “Demon Seed.” I guess I have to add it to my list of must-read books. Congratulations on the book and solo show at The Flood Gallery. Can you give us a little insight as to how the book project came about? I honestly can’t remember. I think me and Chris were drinking and I mentioned I would love to make books. We were talking about print not being dead so why is there not more books of artists we love. So I am a guinea pig. It was loads of fun doing it and I got to hang out with Chris more and the other Chris, the designer- who by the way, is the most classy and lovely guy ever. I hope this leads to some more books soon, I have some ideas about some amazing stuff, but I won’t mention it here – keep your cards close to your chest. Typical artist, ALWAYS teasing things to come. I’ve learned to love and hate that aspect ever since starting BLURPPY. 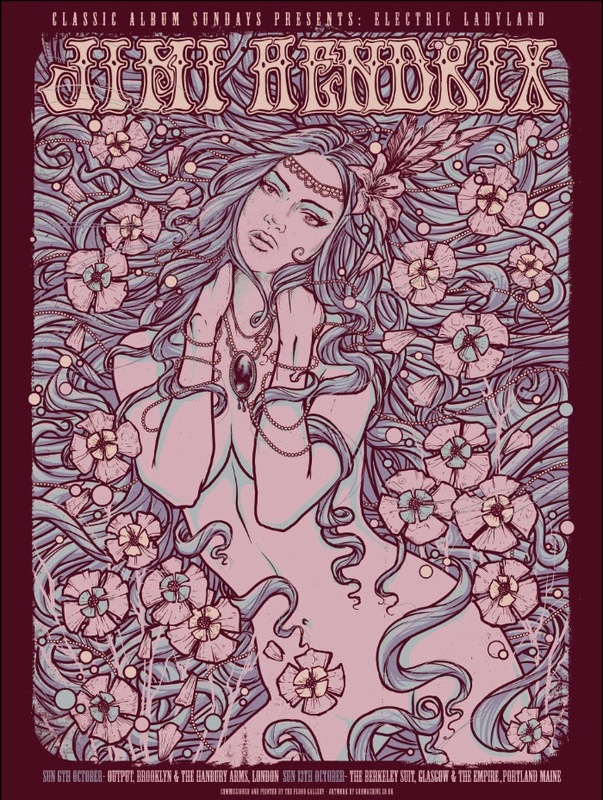 What was the process like for choosing the featured art? It was relatively simple, I sent a jpeg of all the pieces I had done or cared for over the last 5 years then we printed them out and, in true London old school business ways, we had a lunch meeting with curry and booze and I ticked the ones I wanted for sure, circled the ones I was not sure about and X’d the ones that I decided I didn’t want to show. Then over the next few months we went back and forth over what could we fit in and which ones would stay and which ones would go. I still think I have missed out a few. That’s a great point. What WAS the art that didn’t make it in the book? I wish I had chosen some older pieces now and made a point of showing how my work had changed. I also wished I’d said more about when the pieces were created because although my work isn’t the best, some of it was the first to popularize a few ideas. You see them everywhere now but when I first did them they caused a stink. Well, that just means we should be able to expect a ‘follow-up’ book from you now. Which piece from your portfolio took the longest to create and why? Some of the most simple pieces may take the longest time, not through detail or work load but through procrastination and kitten videos on the web or cookie time. I really can’t think and I don’t think anything really takes me more than 3 days max. Arrrgh, you guys that can churn out art, at the drop of a hat, have my envy. I have trouble drawing a proper circle and you come in and create something highly desirable in “3 days”! 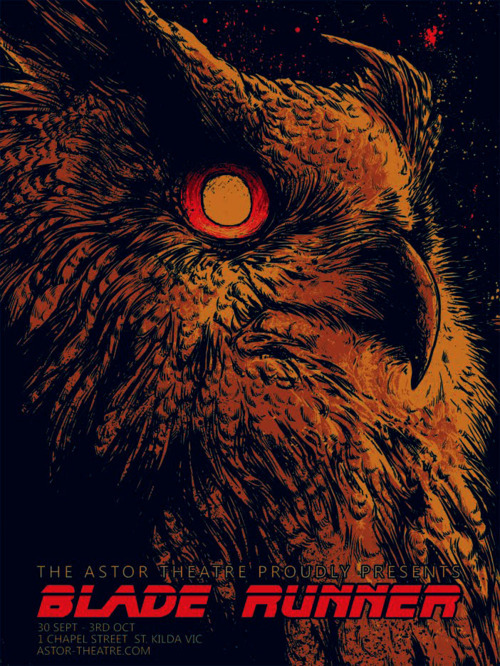 If you could do an official poster for ANY project, movie, music, book, etc. What would it be? Oh f*ck man, why would you ask me that hahaha. I am so pleased to do the ‘Blade Runner’ one and the ‘Aliens’ one. They were my two I always wanted. When I did the ‘Blade Runner’ piece it wasn’t as fashionable as it is now. A lot of people turned it down oddly, so I snapped it up. Now there is a ‘Blade Runner’ show every week and that is awesome. 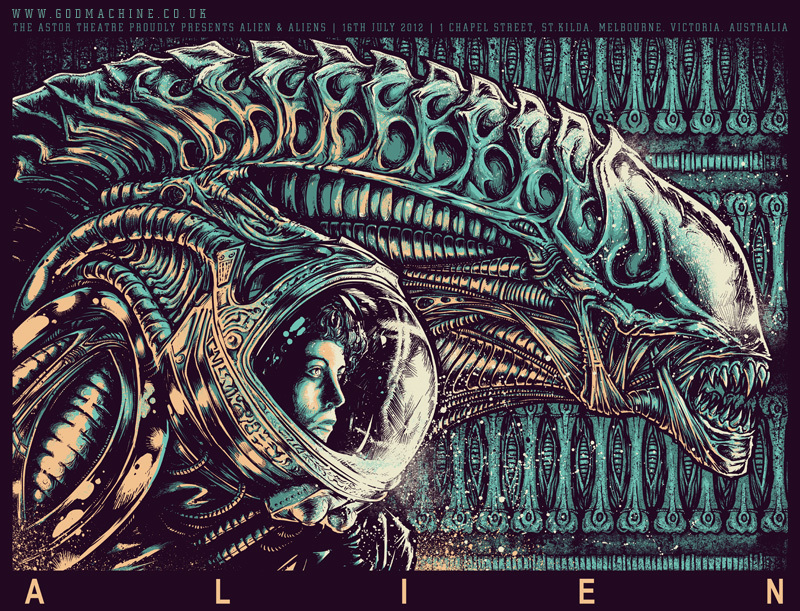 The Alien piece was fun to do but ultimately all we are doing is putting a spin on the Master and Dark Lord Giger, so you can’t really go wrong with that. I would have loved to do ‘Repo-Man’ but I was told that it was “too small a film to do” and then 5 months later they re-release it and Mondo smashed it again. I’ve done ‘Dune’ and I would like to do another one. I have a load of ideas about what I want to do but unless you have licensing it’s hard to do it and the ideas I do have, again, I am keeping close to my chest. I may do some books in the future, but that’s a hard one because books are more personal than films and people want to see the film character more than anything….we’ll see. The “licensing curse.” I only WISH it was easier to avoid those headaches. Since this is your first book focused specifically on your art how was the experience and what do you think about the final product? I love it, I was blown away when I first saw it. I was so ready for something to upset me or be let down about but it’s perfect and I am super happy with the way it turned out. We tried to base it on a bible and at some point we had the idea of silver edged pages but the pricing and other factors made it slip away but other than that I love it. We had a big long fight about the cover. 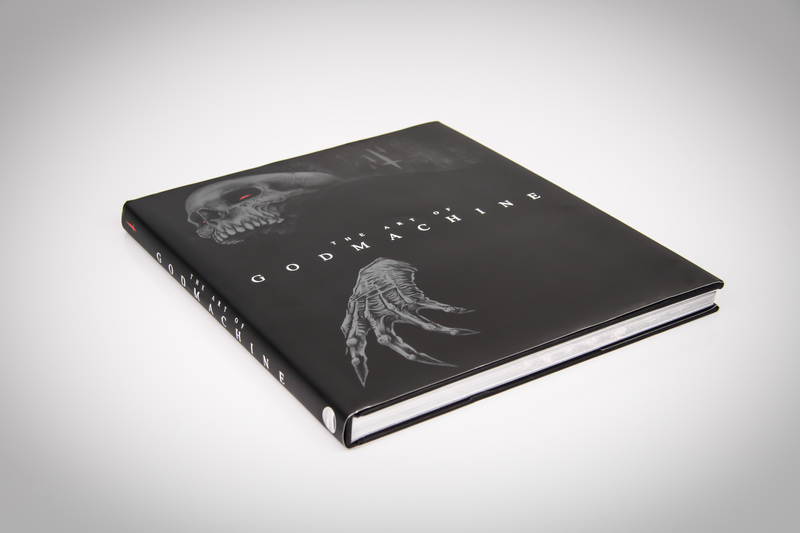 I wanted no dust jacket and just tiny small embossed silver words ‘godmachine’ but they fought me for the dust jacket and in the end they were right, it adds more quality to it, and if you do want my idea, take off the jacket and see, I love it. From what I’ve seen so far, you and The Flood Gallery have a lot to be proud of with this one. Who are your artistic inspirations? At the moment there are so many. Instagram has really started opening my eyes in so many ways. Years ago we all hung out in online blogs, sites and communities but the problem was that they always breed bullies and negativity and whether you realize it or not, your feelings towards someones art is hugely influenced by the crowd. You would get these amazing Indonesian artists that were smashing it but they were put down or favored less because they weren’t ‘hip’ or ‘in’ with ‘the crew.’ I asked Hydro74 why he was never on these groups and he said almost the same thing. Now people have Facebook pages and you can create your own environment and Instagram allows you to view people’s work without crowd pressure. Communities are great though, you can learn a lot more from online communities but they can become popular school gangs of ‘in crowds’ and sometimes if a style of art is popular and gets ‘likes’ then you find everyone changes and the place can become a stagnant cease pool of ideas. Who are my fav artists at the moment? I would have to say Derek Nobel, he isn’t following any trends, never has and never will….But there are so many. The ones that I don’t like are the ones that bring nothing new to the plate. They are massively popular but just a copy of another dead artists… that’s boring as f*ck. Hmmmm…. I’d love to grab a pint with you and pick your brain on just who THOSE guys are. Whose art do you follow these days? Who don’t I follow? I can barely keep up sometimes with who is giving me ‘art-ons.’ Check out my INSTAGRAM or TWITTER to see who I am following although I don’t do TWITTER too much these days. Damn it man, GET ON TWITTER MORE! You have over 6,400 followers waiting on your every word! When you embark on a new project, how do you approach the creative process? Sometimes it’s like Synesthesia, when all your sense come together. Some people report seeing colors when they hear music. Sometimes when you read a brief you can just see it in your head, sometimes the brief makes no sense and you either have to turn it down or hash it out. Those usually involve, coffee, Google search, found searches anywhere you can turn your brain off and just feed yourself ideas. I would say to anyone also that don’t just look to the obvious places for inspiration, look at bathroom catalogs and BMX magazines…seriously. Then thumbnails, then straight into it. “Bathroom catalogs” for inspiration? I guess I’d better get subscribing to some so I can up MY game. I’d be remiss if I didn’t ask, but any upcoming projects that you can tease? I’m about to embark on a Nosferatu poster. I’m gonna see if I can make that something very special. I also want to do more tees for myself at the moment because there is so much I want to try and there are no clients that I think would do something like I have in mind. 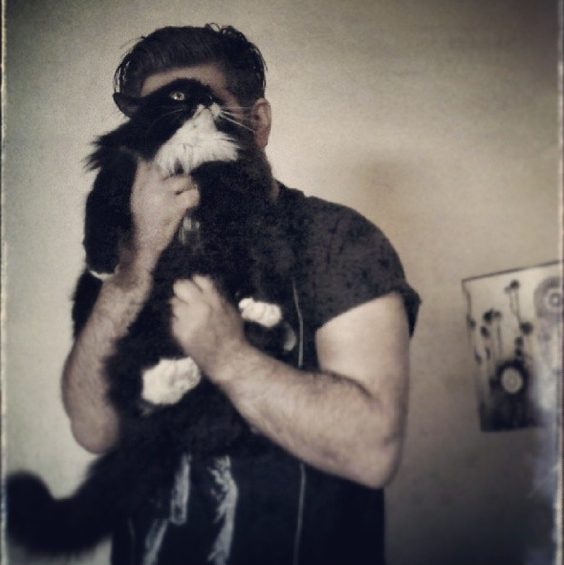 When people know you for detailed skulls no one wants to see you do fluffy kittens. I can promise you it’s not ‘fluffy kittens’ but it’s still gonna be quite dark. I want to do more experiences though. I remember my mate Ed did a small magazine called ‘Designed Violence’, it was cool and we all loved it but at the time there was also this other mag from America called ‘I Want Your Skull’ put together by the late, great Ryan August (you are missed my so many Ryan). Ryan’s magazine was an experience in itself, it came in this black envelope with a sticker sealing it and a print inside with more stickers and each one was numbered. I gave an unopened copy to Ed once and he agreed, it was just this thing of beauty. I loved that and want to do more things like that. I don’t want to make Godmachine phone cases or Godmachine light switches but things that make much more sense to me and the art, stay a bit more true to it. Soooo… you won’t be opening a Society 6 account any time soon then I take it? Anything in particular that you would like to say to the fans about the book, solo show, future? Buy the book, I hope it gives you lots of ideas. Also feel free to tear out the pages and frame them, that was one of my intentions on making it big and having no page numbers or anything. I know there is a special place in hell for people that deface and ruin books, so buy two and avoid hell hahaha. Come along to the show and please be kind to me as I am going to be nervous as f*ck, sweaty and probably swearing and babbling a lot. I really hope everyone enjoys it. And I can say it now- there will be for the first time ever- reprints of some of my older work- so be quick. (I know he says he isn’t on there a lot but I’m hoping my words will inspire him to utilize it more.) A winner will be chosen at random on May 23rd. We will contact the winner via Direct Message on TWITTER and get your info over to the gallery so that the book can be personalized and shipped to you from the event. For those of you who just want the book and are like me, never win anything, you can preorder it HERE. 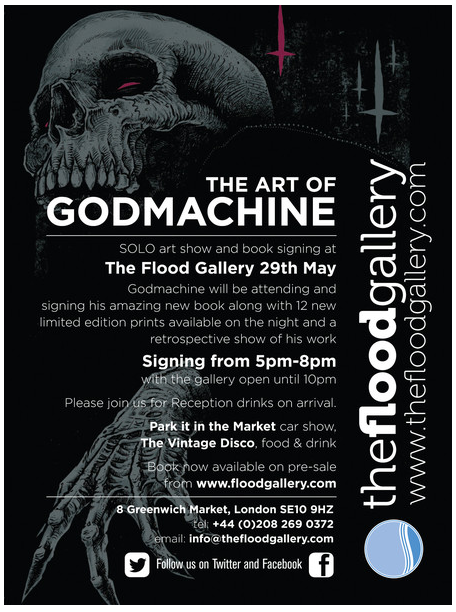 I want to send out a huge thank you to The Flood Gallery and Godmachine for being so generous and taking the time to speak with me about the book and the solo show. I know that both will be a huge success and I can’t wait to see what both parties have in store for us next. 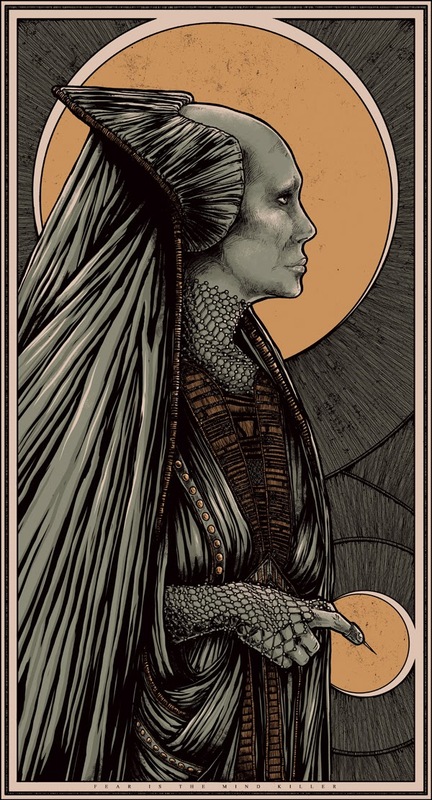 This entry was posted in Art, Books, Movies, Music, Pop Culture, Posters and tagged Alien, Blade Runner, Dune, fluffy kittens, Godmachine, Godmachine book, Jimi Hendrix, solo exhibit, solo show, The Art Of Godmachine, The Flood Gallery. Bookmark the permalink. Awesome! Love his art and have already got this preordered!!! Wicked, thanks so much Don, thatâs a great piece and very helpful in promoting this book and show. We are glad you liked the way it turned out. Thanks for your time and all the assets. We look forward to working with you again in the future. 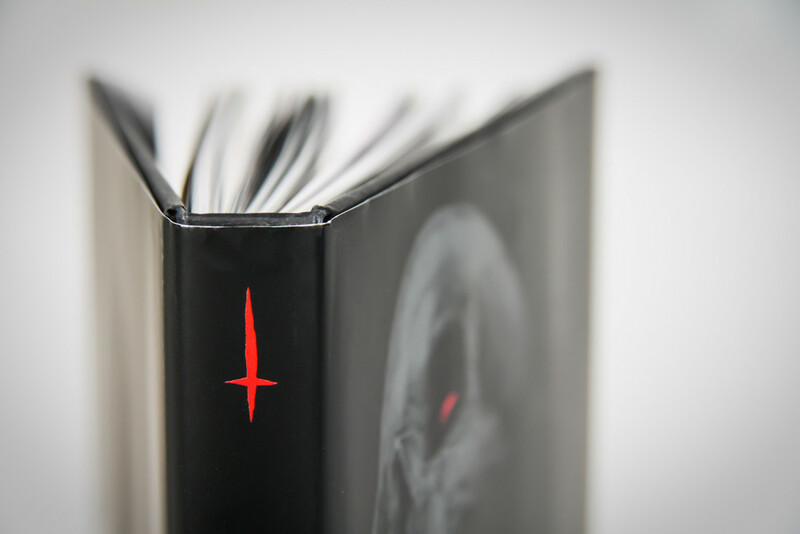 The book looks amazing….I wish I could go to the solo show!